Designed for carrying pots, plants and other items weighing up to 150 lbs. ( 68 kg ). 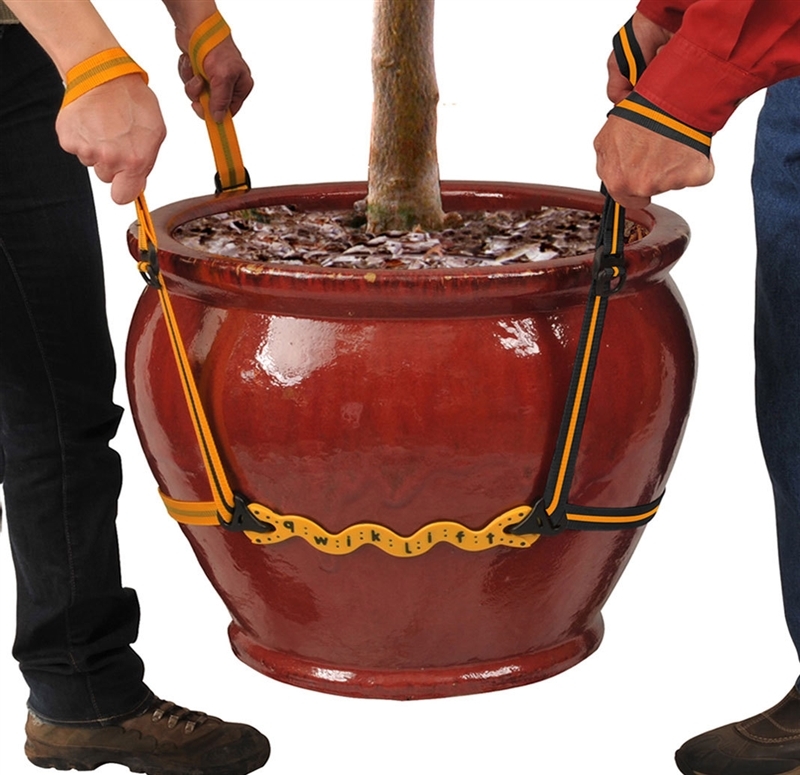 QwikLift is great for carrying heavy items that need to be securely gripped due to their short, slippery and/or hard-to-hold surfaces including large vases, bags of cement, landscape rocks, fountains, logs, book bins, etc. QwikLift has 4 adjustable loops for carrying different sized items.